Up And Social designed a construction logo for Kent General Contracting LLC, a construction and contracting company providing services in home improvement. 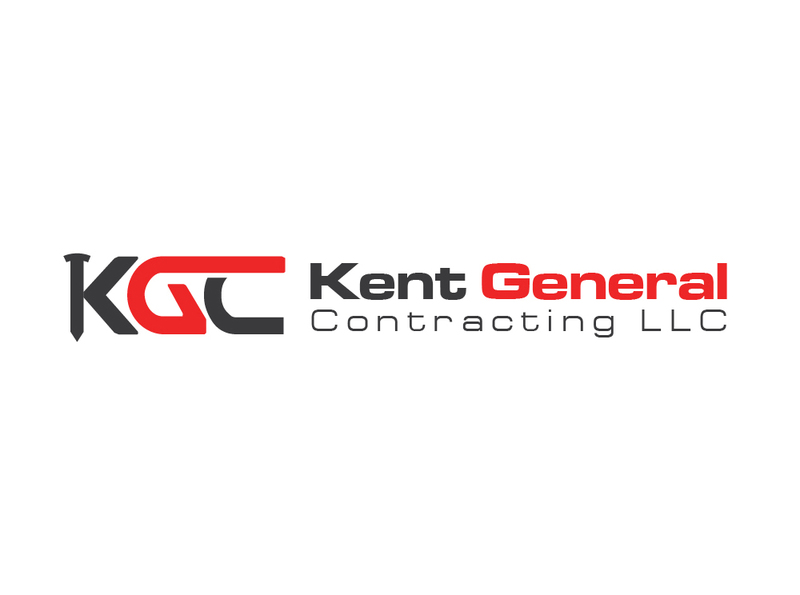 The logo we created is strong, sleek and professional, much like Kent General Contracting LLC. Our goal for this logo was to relate the design to the values of the company while making an aesthetically pleasing design. When designing logos, we make sure to keep the needs of our clients’ in mind. Kent General Contracting was looking for a logo that spoke to the strong, hardworking nature of the company. With this logo, we made sure it was bold to reflect these wants. On the far left, the “K” is made up in part by a screw to speak to the type of work that KGC does. This home improvement company can handle small or large products, a message we conveyed through the all-encompassing fonts and colors of the logo. Throughout the process, we were sure to keep in close contact with Kent General Contracting to make sure they were happy with the design. We were careful to take their suggestions seriously and make adjustments as they saw fit. This logo encompasses all the elements KGC was looking for in conjunction with Up And Social’s expertise.